Just north of Edinburgh, this road trip through Fife includes a stop at St Andrews and NTS sites made famous by Outlander – all in under 2 hours of drive time. Snap some photos of the picturesque Royal Burgh of Culross, stop to smell the flowers at Falkland Palace & Garden, and have an ice cream like a local in the coastal town of St Andrews. Total drive time: 1 hr 55 min, not including the stops. 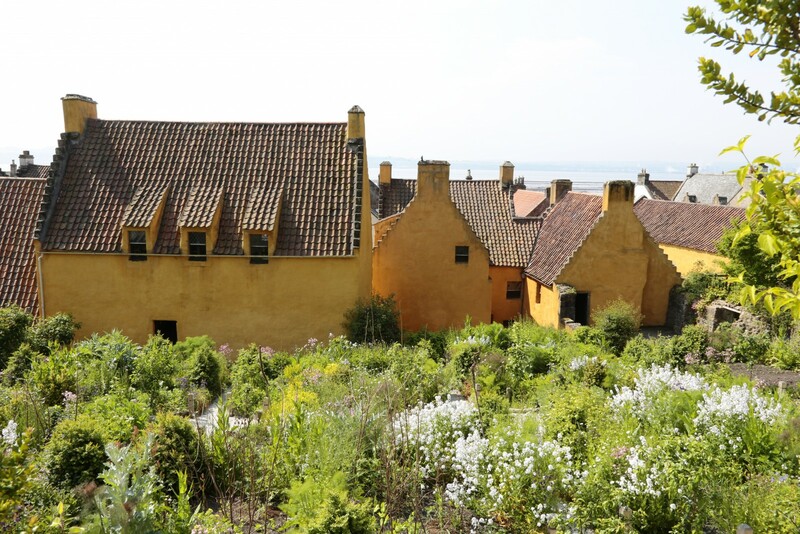 Begin your day with a visit to the Royal Burgh of Culross, one of the most picturesque villages in Scotland with cobbled streets and an ochre-colored palace. 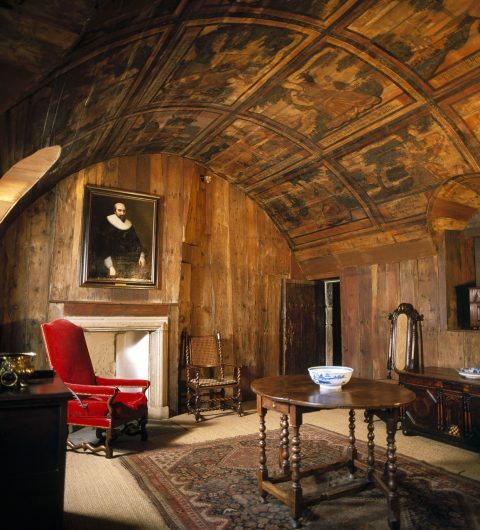 Get a sense of what it would have been like to live in Culross Palace in its prime, with original painted woodwork and beautifully restored 17th and 18th-Century interiors. White-harled houses with red-tiled roofs line the steep cobbled streets which run from the market cross to the hilltop abbey. In the center is the ochre-coloured palace with its beautifully reconstructed period garden, complete with herbs, fruit and vegetables, and rare Scots Dumpy hens. In fact, this very garden was made famous by Outlander as Claire’s herb garden at Castle Leoch in Season 1. The town also appears in the series as the fictional village of Cranesmuir where Geillis lives and is the backdrop to the Jacobite encampment in Season 2. 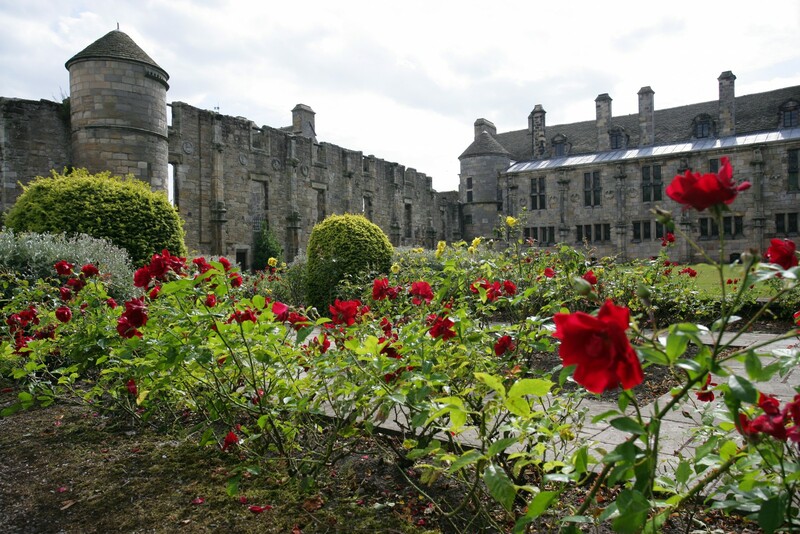 Afterwards, it’s only a 45 minute drive through the heart of Fife towards Falkland Palace. 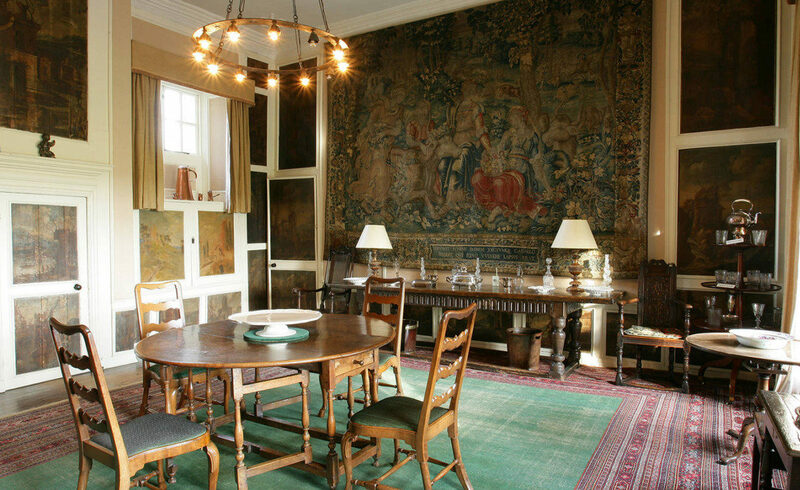 Upon your arrival you can explore the country residence of the Royal Stuarts, adored by Mary, Queen of Scots. Discover the oldest original real tennis court in Britain, and stroll around the Palace’s beautiful garden and orchard. Insider Tip: If Fife and Culross feel familiar, you are probably an Outlander fan! Both locations feature in a number of scenes filmed between late 2013 and summer 2014. 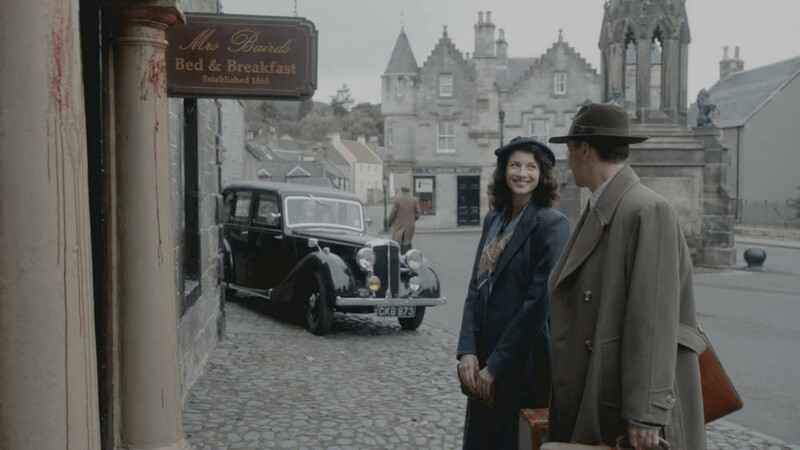 For all you need to know about NTS filming locations —> Discovering Outlander. It’s time to hit the road again, this time heading towards Tentsmuir National Nature Reserve. 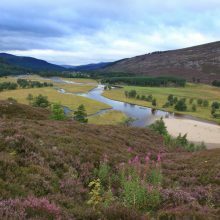 You can find pine-scented forest, windswept sands and a wonderful range of wildlife at Tentsmuir. If you’re lucky you may see squirrels in the trees and seals basking on the shore. Then, drive through the town of Leuchars and into St Andrews. Here you can grab a bite to eat from one of over 60 restaurants and cafes. Insider Tip: Do not miss out on trying an ice cream from the renowned Jannetta’s Gelateria, located on South Street. This family-run business has been serving the people of St Andrews for over 100 years, and we can assure you that the queue is definitely worth it! The final stop on your journey is Kellie Castle, where Medieval atmosphere meets Victorian style. The oldest parts of the castle date back to the 14th century, however the interior was overhauled in the late 19th-Century by a well-known artistic family, the Lorimers.